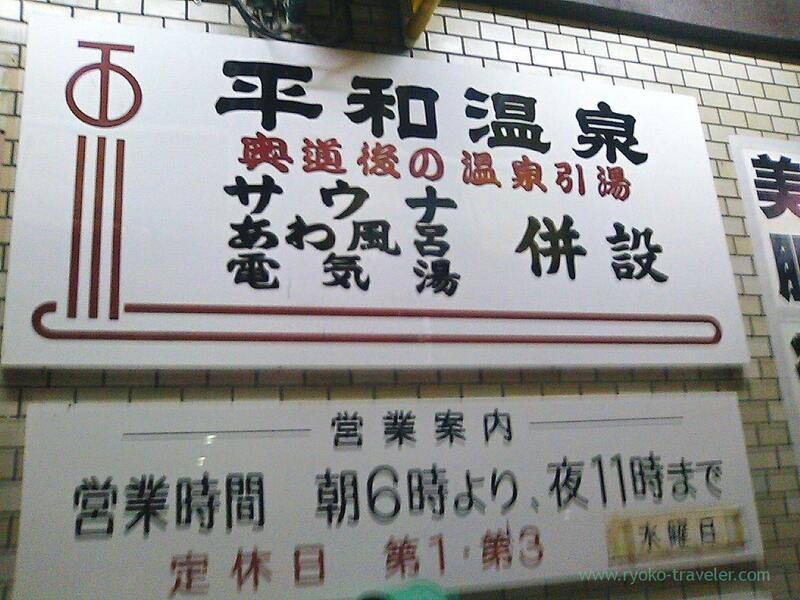 You can take Oku-dogo onsen bath at the center of Matsuyama city! This post is about sento that I took when I was in Matsuyama by trip. Heiwa Onsen is located in the center of Matsuyama area. But it is a little far from the station. They get Oku-Dogo Onsen resource at a distance place.. Though it is sento and the admission fee is only 400 yen or so. But they have onsen resource ! I walked in the dark, so, I felt it took more time. They also have mist sauna including the admission fee ! There is no island lockers, so it looks large in the dressing room. But actually it isn’t large. Contrary to the size of the dressing room, the bathroom is wide. They have upstairs in the bathroom. The mist sauna is on the 2nd ground. It could be occupied only 2 or 3 persons. It smelled like mint in the room. The shop says it is “Herb mist sauna”. Cold water bath is underside of the stair in shade. Only large bathtub have onsen water. But the mist sauna was no people. I like this sento. There is comfortable sofa and I could relax after taking the bath. Their website says there’s also ping-pong table and gym. But I couldn’t find them.